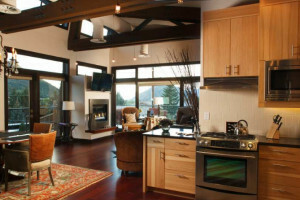 Dive into Jackson Hole with a plan already in place. Use one of our top three suggested itineraries for staying active, sightseeing, and traveling with a family. Day 1: Ride the Tram to the top of Jackson Hole Mountain Resort and take a tandem paraglide ride back down. Head into Grand Teton National Park via the Moose-Wilson Road and hike up Death Canyon. End the day at Dornan’s Pizza and Pasta. Day 2: Go whitewater rafting down the Snake River. In the afternoon rent mountain bikes and check out the singletrack trails up Cache Creek. Head to the Snake River Brewery for dinner. Day 3: Get an early start and head into Grand Teton Park for a full day hike up Paintbrush Canyon and down Cascade Canyon. Treat yourself to a steak at Local. 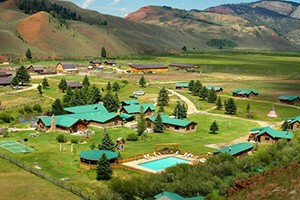 Day 4: Go on a half day horseback ride in the Gros Ventre Wilderness in the morning. Rent stand up paddle boards and take them down the Snake River (from South Fork to Estoria) for the afternoon. Dinner at the Indian or Thai me Up. Day 5: Bring your fly fishing gear and head down to the Hoback River south of town. Pick a few fishing spots to try out and then head up Granite Creek to Granite Hot Springs. Hike out and back the trail and end your day with a soak in the pool. Day 1: Drive up to Craig Thomas Discovery Center and then take the boat across Jenny Lake. Either stroll back along the shores of the lake or hike up to Inspiration Point and take the boat back across. Day 2: Go on a scenic rafting trip through Grand Teton National Park and then spend the afternoon at Body Sage Spa at the Rusty Parrot. Day 3: Drive down to Granite Hot Springs for a nice long soak. Invigorate yourself before driving back to Jackson with a short hike up the Granite Creek Trail if you are so inclined. Day 4: Go on your own wildlife spotting tour along Moose-Wilson Road in the morning. Then stroll around the shores of Jackson Lake from Jackson Lake Lodge. Cruise along Antelope Flats Road in the evening. Day 5: Sign up for a class at Inversion Yoga in the morning. In the afternoon, rent stand up paddle boards and take them up to String Lake. 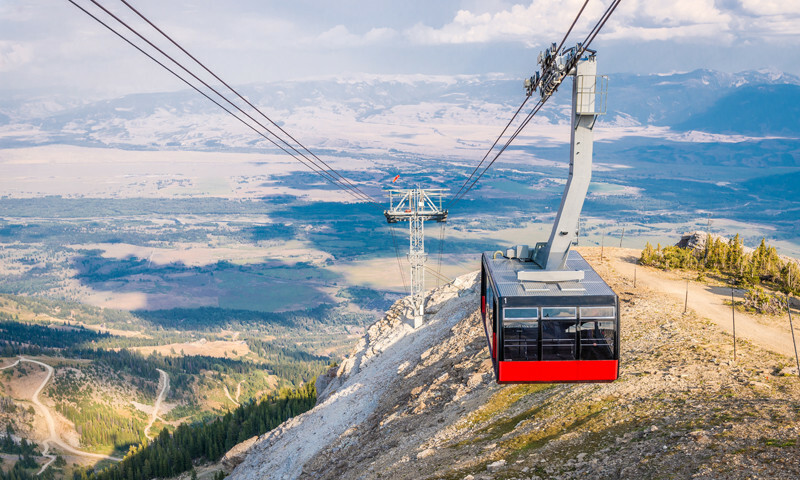 Day 1: The kids will love riding the Tram to the top of Jackson Hole Mountain Resort. Don’t miss some of the fun activities at the base area, like the ropes course, climbing wall, bungee trampoline, and more! Head back into town for the entertaining Town Square Shootout. Day 2: Start at the Craig Thomas Discovery Center (make sure to pick up a Junior Ranger packet) in Grand Teton National Park and then take the boat across Jenny Lake and hike to Hidden Falls (1 mile round trip). Have lunch at Dornan’s and spend the afternoon looking for wildlife along Antelope Flats Road. Day 3: Go whitewater rafting (scenic rafting if under 6 y/o). In the afternoon head to Snow King to ride down the Alpine Slide or the brand new Mountain Coaster. Day 4: Rent a couple of bikes and enjoy the paved trail system in town or up to the Wildlife Art Museum, where you can spend hours in the kid’s corner. In the evening, head to Bar J Chuckwagon Dinner and Show. Day 5: Go on a half day horseback ride. Swing into the Jackson Hole History Museum and end the day at the Rodeo.